Chief Executive Carrie Lam today released her second Policy Address and announced that a $28-billion funding will be provided for I&T development. 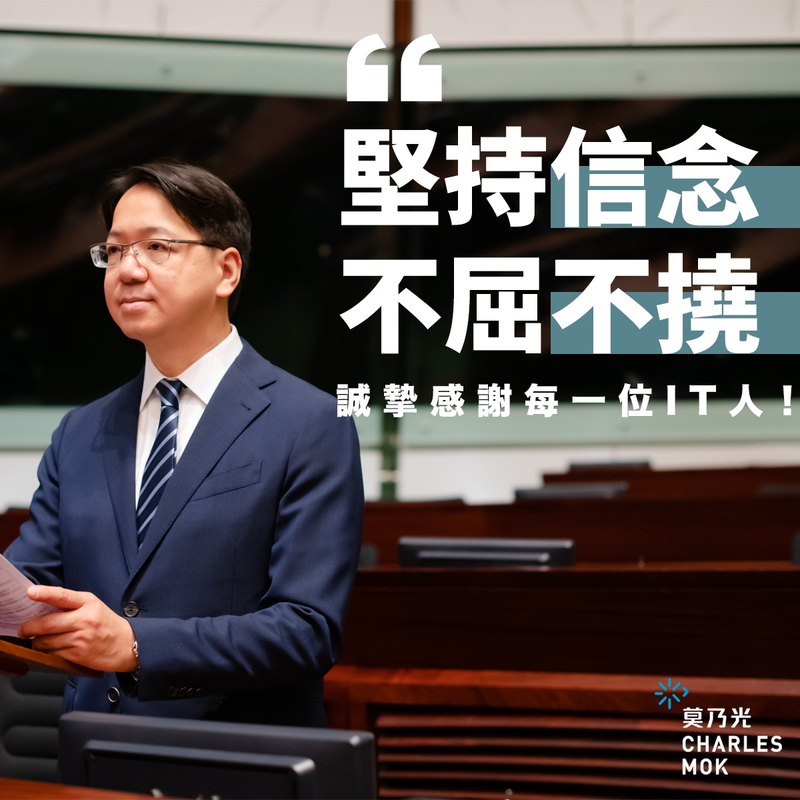 In response to the 2018 Policy Address, IT Legislative Councillor Charles Mok pointed out that the government continues to set out more funds but the progress of the 8 major areas of I&T development issued in last year’s Policy Address is still slow. He was concerned that the money-driven initiatives benefited more on long term R&D and re-industrialisation but little on front-line tech workers and ICT companies.